While Teach For America (TFA) welcomes fully certified teachers from traditional programs at institutes of higher education, most of their corps members come in and attend TFA’s summer sessions without prior teacher training. Fully certified teachers might wonder if there is a place for them in TFA, and TFA-trained teachers might question what they missed by not having teacher preparation as an undergraduate. I interviewed one educator who completed both pathways: my daughter Gabriella Nelson. She completed teacher training at Grinnell College, then enrolled in Teach For America and attended their summer institute in the Mississippi Delta region. Gabriella is now the academic coordinator at the school she joined through TFA six years ago. 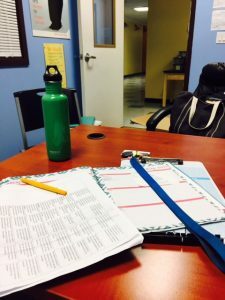 In addition to overseeing curriculum, she coaches grade 6-12 ELA other subject teachers, bringing lessons from her classroom experience and dual preparation to shape and encourage her colleagues. In our conversation below, we touch on the reason for her choices, the differences in each type of preparation, and what she finds most helpful to prepare teachers. How did you choose a college for your teacher preparation? I looked for colleges with good educational programs where I could get my license in four or four and a half years. I picked Grinnell College because I knew that they put you in the classroom earlier than the student teaching programs in other schools. I was in a classroom beginning the second or third semester of college. I also liked that education wasn’t a major — you had to major in a subject, and I felt that was better content than what I perceived some “education major” coursework included. Grinnell created a strong foundation for knowing how to plan my classes — they did a good job of preparing us in that respect. But the program didn’t talk a lot about classroom management. Another weakness (not their fault) was that learning how to teach in rural Iowa is not necessarily the most translatable experience to where I ended up teaching. You also chose to participate in Teach For America (TFA) after graduation and attended their summer institute. Tell me about that choice. I chose TFA in part because they sent me an email in October of my senior year inviting me to meet with them and apply. At that time, I was unsure of where to go teach and I knew their process would help me make that choice. Also, educational inequality was something I wanted to focus on: to be around people who valued making education more equitable. How did TFA’s summer institute training compare to your traditional training? Grinnell had a general focus on social justice, but I didn’t get explicit preparation for teaching in diverse settings. TFA’s institute had specific sessions geared towards diversity, equity, and inclusion. For example, we learned how to teach students who didn’t share your culture, and strategies inclusive of all learners. A lot of time was spent on building cultural competency. You ultimately taught in Memphis with TFA. Did you feel prepared to enter your classroom on the first day? I felt prepared and then very quickly realized I was not prepared. In theory, I knew what I was supposed to be doing and had my plans, but nothing prepares you to be the only one in the room responsible for all these students. I hadn’t really practiced for that. In theory, teaching should be easy — best practices, best classroom management, etc. — but you are not teaching in a vacuum. The hardest thing is that you never know what is going to happen. Will there be a fire drill? What kind of attitude will the kids have? Will the school flood? There were so many different things that could happen. Constantly adapting and working through the sheer number of decisions you have to make every day was overwhelming. Responding to students, switching up a lesson, calling out a student for a uniform violation or letting it go — nothing can prepare you for how much decision making is happening all of the time. And those decisions potentially have a long-lasting effect on student outcomes. Learning how to productively manage that pressure takes a lot of practice. 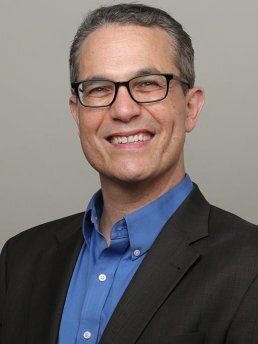 What have your experiences taught you about what works in traditional and/or alternative pipelines for teachers? More programs should follow the Grinnell-like model where you are in the classroom earlier. I wish more of them would make students really study some content – Grinnell’s academics were more rigorous than some “standard” education preparation programs. I recommend a more rigorous and regular support system for new teachers: a combination of classroom support, checking in with teachers to make sure things are going okay, and anecdotal coaching to relate to them that you also struggled when you were new. This support is better if it is school-based rather than someone coming in from the outside because every school is different. After serving as a classroom teacher for three years, and one year split between teaching and administrative work, I’m now a full-time K-12 academic coordinator for about 700 students and 45 – 50 teachers. The value of what I do is that I’ve been here and understand this school’s culture and can coach from that lens. Outsiders may not understand the culture and norms our teachers face. At the very least, the coach should have taught in the same city or the same general environment. 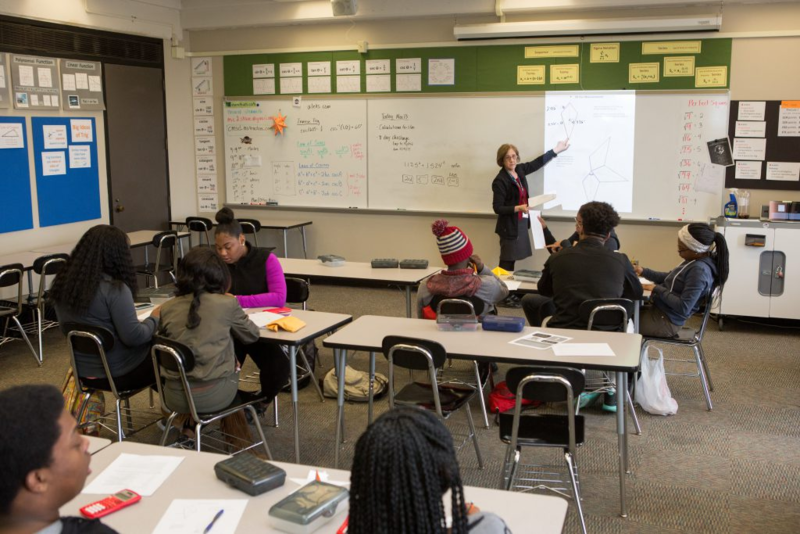 A suburban teacher coaching in a Title 1 school is not effective. This entry was posted in Equity, Talent, Teacher Effectiveness and tagged #BWTalksTalent, Teach for America, Teacher Preparation on August 28, 2018 by Lynne Graziano. As another school year comes to a close, education critics will lament teacher turnover while school leaders scramble to fill vacancies. Teachers who have been in the classroom for less than five years will be accused of abandoning their students and letting their schools down. Yet in many other careers, short-term, sequential roles are seen as building blocks to a lifelong, varied career. Why should the classroom teacher be expected to teach for a lifetime, especially when their impact may wane? According to TNTP, teacher improvement is greatest early in their careers, with the most gain in teacher effectiveness occurring in year one. Between years three and five, teachers effectively peak, with little improvement in effectiveness over a career that might span 5 years or 35 years. In fact, some teachers actually decline in effectiveness. Meanwhile, they work within a system of pension structuring designed to only reward the longest tenured career, with more than half never seeing any pension benefits and only one in five staying long enough to receive full benefits. In other career fields, we recognize the need for changing roles. Consultants in a fast-paced, travel-intensive role with never-ending hours receive understanding nods when they move into a more stable, less life-disruptive role for both personal and professional reasons. Tireless entrepreneurs who start a business and build success by working around the clock are applauded when they sell to a corporation or hand the business off to a junior partner. Teachers should be afforded similar opportunities to transition into more sustainable roles, particularly roles within schools where they can continue to impact student achievement by supporting classroom teachers. This entry was posted in Teacher Effectiveness and tagged Talent, Teach for America, Teacher Preparation on May 31, 2017 by Lynne Graziano. Thousands of Teach For America alumni will pour into DC this weekend for the organization’s 25th anniversary summit. With the spotlight on Teach For America, it’s worth looking at some misperceptions about what has become one of the biggest players in the ed reform movement. Last year at Bellwether we carried out an independent case study of Teach For America’s efforts to scale, including its accomplishments, missteps, and lessons learned along the way. 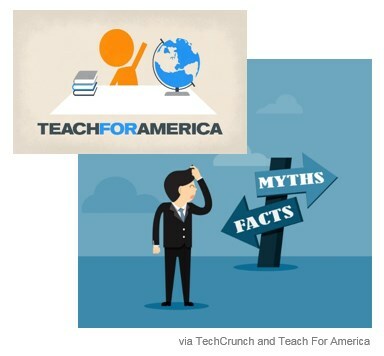 Based on our work, we want to share five myths about Teach For America that continue to linger. Myth #1: Teach For America primarily recruits white affluent graduates of elite universities. It’s true that in Teach For America’s early years, a high proportion of the corps hailed from Ivy League universities. As the leadership began seeing the impact of corps members who shared the backgrounds of the students they served—both in the classroom and the broader community—it began changing the organization’s approach to recruitment. Today, nearly half of all corps members identify as people of color, 47 percent come from low-income backgrounds, and 34 percent are first-generation college students. Myth #2: Corps members are unequipped to teach given that they only receive five weeks of training. This entry was posted in Politics of Education, Talent, Teacher Effectiveness and tagged #TFA25, charter schools, Teach for America, tenure on February 5, 2016 by Carolyn Chuong and Sara Mead.